Kevin is the founding Director of Boston College’s M.S. in Cybersecurity Policy and Governance Program, and an Assistant Professor of the Practice at Boston College Law School and the University’s Carroll School of Management. With a combined 20 years of law enforcement, military, national security, business, higher education, and teaching experience, he has worked as an analyst and an attorney for the U.S. Department of Justice, U.S. Navy, and U.S. Department of Defense. He has also worked for law firms in Boston and Washington, D.C., and as general counsel for an international software company based in Seattle, Washington. Kevin is a Research Affiliate at the MIT Sloan School of Management, and he has taught courses at the U.S. Naval Justice School and the U.S. Naval Academy, where he was also the deputy general counsel to the Superintendent. From 2016–2017, he was the Panel Lead for the Collegiate Working Group to the U.S. Department of Homeland Security’s National Initiative for Cybersecurity Education (NICE). 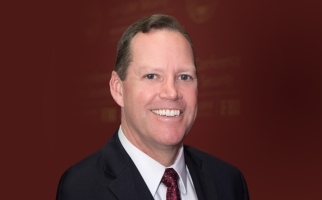 Kevin also serves as a board member for the Boston College Law School Business Advisory Council, a regional bank, and an international software company.